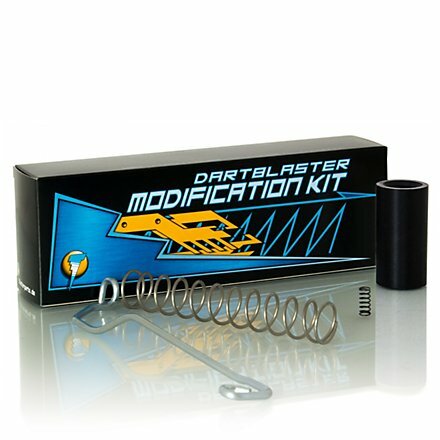 Modification kit 'tactical-range' for NERF N-Strike-Elite AlphaTrooper including guiding shell, modification spring, catch spring and bracket. For the AlphaTrooper we do not only offer modification springs, but a whole modification-kit. The original plunger in the blasters is not clean guided. Our kit contains a guiding shell that improves the guiding of plunger. 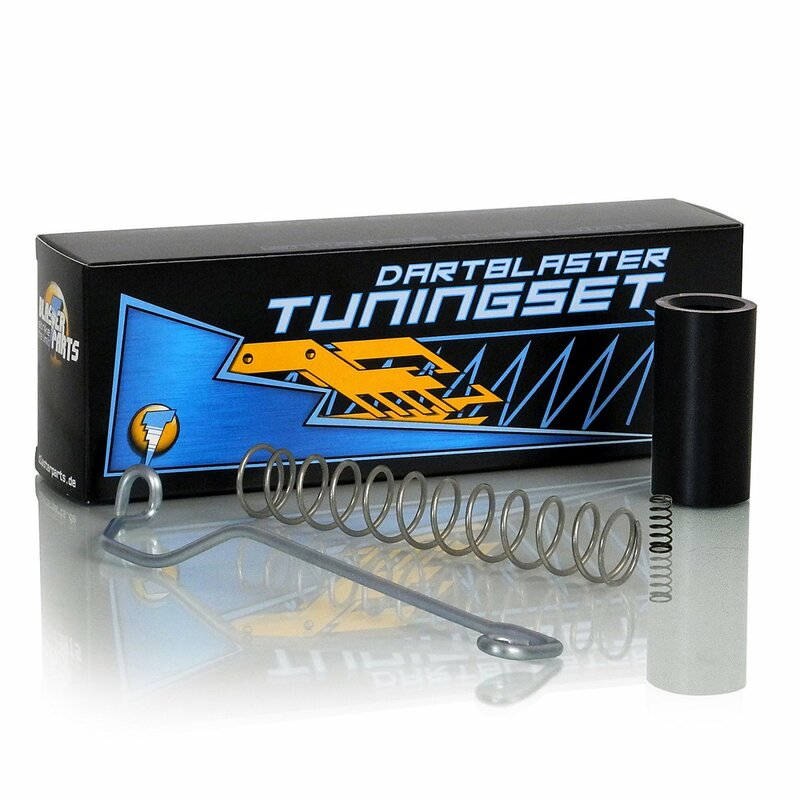 It also contains a stronger catch spring that avoids uncontrolled firing of the blaster. Finally the kit includes a reinforced bracket which allows smooth priming even when using the blaster with a modification spring. Important:The Modification Kit fort he Nerf N-Strike Elite Alpha Trooper CS-12 does not fit the XD-variant, the so-called Nerf N-Strike Elite XD Alpha Trooper CS-6. We will offer the according Kit in the near future. approx. range with kit installed: 25-30 m.
The offered modification kits are NOT products of the manufacturer of the mentioned blaster. There is no relationship to the manufacturer of the mentioned brand. Important Note:The Blasterparts Modification Kit for the Nerf N-Strike Elite Alpha Trooper CS-12 does not fit into the XD-Variant of this blaster. We will release an appropriate Modding Kit as soon as possible.